The existence of comets as an argument for a recent creation is examined. Most creationist presentations of this topic are out of date. 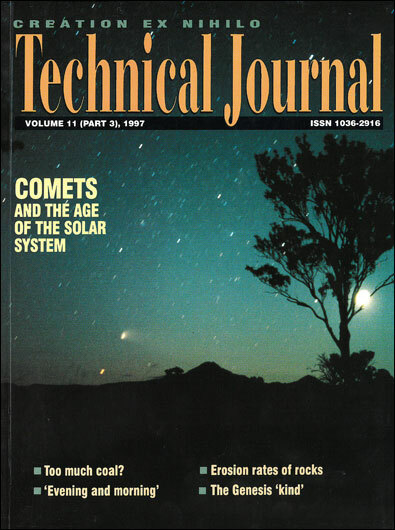 To rectify this situation, the tremendous amount of work on the origin and evolution of comets by evolutionary astronomers over the past two decades is reviewed. While it was once thought that the Oort cloud could account for all comets, computer simulations have clearly shown that short-period comets cannot originate from the cloud, so the Kuiper belt has been revived to explain the origin of the short period comets. The alleged discovery of the Kuiper belt is discussed, while the status of the Oort cloud as a theory is questioned. It is concluded that the existence of comets is still a valid argument for a recent creation of the Solar System. The existence of comets has long been used as an argument for a recent creation (probably the best treatment so far is that of Slusher1). The case is usually made as follows. The standard model of a comet is one in which all of the material observed is released by an icy nucleus only a few kilometres across. This model strongly suggests that comets are very fragile, losing much of their material during each close pass to the Sun. Most comets follow orbits that take them vast distances from the Sun. If a comet’s orbit takes it too far from the Sun, then the comet could easily be captured by the gravitational attraction of other stars and thus would be lost to the Solar System. This places a maximum distance from the Sun that a comet may orbit. If this maximum distance can be estimated, Kepler’ third law of planetary motion can be used to deduce the greatest possible orbital period that a comet may possess (about 11 million years). When combined with an estimate of how many trips around the Sun that a comet can survive, we can estimate the maximum age of comets. This figure is far less than the adopted 4.6 Ga age of the Solar System. Because no source of creation for comets has been identified, comets are assumed to be primordial. If this is true, then the age of the Solar System must be less than the estimated upper age of comets. This has been recognised as a problem in astronomical circles for a long time. There have been several suggested resolutions to this problem, the most popular and successful being that of the late Dutch astronomer Jan Oort.2 Oort proposed a large spherical cloud of comet nuclei that formed early in the history of the Solar System. The Oort cloud is supposed to be at a large distance from the Sun, placing the nuclei too far away to be observed. The estimated radius of the cloud has varied over the years, and even from author to author. The inner cloud, where most of the nuclei reside, is believed to have a radius of 10,000 to 20,000 AU. An AU (Astronomical Unit) is the mean distance between the Earth and Sun, and is roughly 1.50 x 108 km. Estimates of the size of the outer Oort cloud vary, with a range of 40,000 to 150,000 AU from the Sun. At such great distances the temperature is so low that the nuclei can be preserved in a ‘deep freeze’ sort of environment so that they survive to today. Occasional gravitational effects of other stars, called perturbations, are believed to cause some of these nuclei to plunge toward the Sun and continue to orbit until they are exhausted in a time-scale much less than 4.6 Ga as mentioned above. Therefore this model suggests that all of the comets observed today have been in their current orbits for only a fraction of the age of the Solar System. The basic calculations and arguments within a recent creation framework were done nearly 25 years ago. In the ensuing years no new work or updating has been done, although the argument has been repeated many times. During this same time astronomers have refined the Oort cloud hypothesis, though recent creationists have not noted this. Refinements include the consideration of periodic impacts causing mass extinctions in the past, which has become referred to as the Alvarez3 hypothesis. Furthermore, a related idea called the Kuiper belt has been identified as the source of many comets, though almost no creationist writers have even acknowledged it. Therefore, the recent alleged discovery of the Kuiper belt4 caught many creationists off guard. What is presented here is a new evaluation of this topic, which will readdress the question of what comets tell us about the age of the Solar System. We will also examine the alleged confirmation of the Kuiper belt. 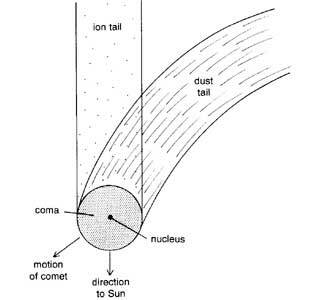 Figure 1: Structure of a comet. The nucleus is a few kilometres across, while the coma is about 10,000–100,000 km wide. The word ‘comet’ comes from the Greek comëtë (long-haired), from which we also get the word ‘comb’. Loosely, a comet appears as a hairy star. For millennia comets have been associated with disasters. Two examples are the apparitions of Halley’s Comet during the Battle of Hastings in 1066 and the destruction of Jerusalem in AD 70. Comets really do appear mysterious. While the stars, the Sun, the Moon, and the five naked eye planets all follow regular and predictable motions, comets appear suddenly, quickly move in an erratic fashion, and then abruptly disappear, apparently never to be seen again. It was not until the adoption of Newtonian mechanics three centuries ago that Edmund Halley was able to show that comets do follow predictable orbits around the Sun. Halley computed orbits for about two dozen comets that he or others had observed. Of particular interest is the comet that Halley observed in 1682. When he noticed that the comet’s orbit closely matched the orbits of similar comets seen in 1531 and 1607, he realised that this comet must have a period of nearly 76 years, that is, three comets were actually a single comet observed during three consecutive apparitions. Since Halley’s time his comet has returned four times, most recently in 1986. Of course, this is the famous comet that bears his name. Several models of what comets are have been proposed, but the standard model for several decades has been the icy conglomerate model, or the ‘dirty iceberg’ theory of Fred Whipple.5 The term ‘dirty iceberg’ refers to the nucleus, from which material is removed and caused to glow, making the comet visible. The nucleus of a comet is believed to be a mass of ice several kilometres across with an admixture of small dust particles (Figure 1). The ice consists of various frozen materials, mainly water, carbon dioxide, methane, and ammonia. At about 40 km in diameter, the nucleus of Comet Hale-Bopp seen in 1997 is one of the largest nuclei ever observed, which explains why it has been termed ‘a great comet’. For comparison, the bright Comet Halley has a nucleus about one fourth that size. When far from the Sun the nucleus of a comet is at a sufficiently low temperature for the ice to remain frozen, and thus the nucleus can exist indefinitely in this state. As the nucleus passes close to the Sun, the greatly increased radiation heats it so that the ice begins to sublime. The Giotto spacecraft passed close to the nucleus of Halley’s Comet in 1986 and revealed a surface as dark as coal. Presumably this is a crust consisting of carbonaceous dust left behind as the ice sublimes. A similar thing can be observed in winter in cooler climates where snow is ploughed into large piles in parking lots. As the snow melts or sublimes, dirt is left behind to form a dark crust on the surface. This dark coating allows for more efficient absorption of the Sun’ rays so that the sublimation of ices occurs more rapidly. Before and during its first pass near the Sun a comet’s nucleus is expected to be lighter in colour, but the formation of the dark crust should make the nucleus darker on subsequent passes. As the gas is released it rapidly expands into an envelope up to tens of thousands of kilometres in diameter called the coma (see Figure 1 again). The Sun’s radiation ionises the gas, and the recombination of the atoms, along with the reflection of sunlight off dislodged dust particles, makes the coma visible. The coma is the brightest part of a comet and gives a comet its hairy appearance, but is very tenuous as shown by the fact that stars viewed through it are not appreciably dimmed. Subsurface sublimation results in explosive release of gas in the form of jets, which can cause large changes in the brightness of the coma. The solar wind shoves the ionised gas away from the Sun, forming an almost straight ion, or gas, tail (Figure 1). The Sun’ radiation pushes the more massive dust particles outward, producing a more gracefully curved dust tail. Both tails point away from the Sun, whether the comet is approaching or leaving the Sun. As mentioned previously, the brightness of a comet is determined by how bright the coma is. The brightness of the coma critically depends upon the size and composition of the nucleus and how close it is to the Sun. An additional factor affecting how bright a comet appears to us is how far from the Earth it is. Generally, a comet is brightest near perihelion, the point of closest approach to the Sun. That is why Halley’s Comet was a disappointment to the general public in 1986. When Comet Halley was near perihelion it was on the other side of the Sun, and hence not visible. Because of its motion relative to the Earth the comet emerged gradually from behind the Sun. Even then it was far away from the Earth, and given its position well below the Earth’s orbit, it was best seen from the southern hemisphere. By the time it was visible in the northern hemisphere it had dimmed even more. In nearly 2,300 years of observations of this comet, the circumstances of the most recent apparition were the absolute worst possible. Given the size of Comet Halley’s nucleus and the observed mass loss during its recent apparition, it is obvious that this comet cannot sustain many trips around the Sun. From historical data it is difficult to determine if Comet Halley has dimmed over the past 2,300 years, but it is expected to have been slightly brighter during past visits. Nor is this behaviour unique. Other shorter period comets have been observed to dim remarkably over the years. Some that once produced noticeable comas show very little activity now. In fact, the colours and orbits of some asteroids suggest that they may be burned out remains of dead comets. Halley’s Comet has exhibited one of the slowest decreases in brightness, probably because it has an unusually large nucleus and is probably pretty young, even by recent creation standards. On the other hand, a comet may also be disappointing during its first pass or two around the Sun. Recall that the nucleus of a comet is believed to be light in colour at first, but acquires a darker colour as dust accumulates on the surface. Because darker coloured objects are better absorbers of radiation than lighter ones, a darker nucleus should be heated more, which results in more sublimation and coma formation. This suggests that new comets may not reach full potential brightness during their first pass, but may achieve maximum brightness on their second or third pass around the Sun. Comet Hyakutake, which was visible in 1996, had a small nucleus, but was bright for its size. This has caused some to suggest that this is a young comet on its second or third pass near the Sun. Comet Kahoutek that was visible in 1973 and 1974 failed to brighten as originally anticipated, suggesting that it may have been a comet on its first trip to perihelion. Individual comets obviously have very limited life-times, but is this true of comets collectively? Comet Halley, as well as other comets, may have only been orbiting in its present orbit for only a few thousand years. While the planets follow nearly circular orbits, comets follow very elliptical orbits. This causes them to cross the orbits of most of the planets, and result in a very real possibility of passing close to one or more planets eventually. Such a pass may cause a gravitational interaction (called a perturbation) that changes the orbit of a comet. This is particularly true of Jupiter, which has more mass than all of the other planets combined. Perturbations can cause huge changes in a comet’s orbit. A good example was Comet Shoemaker-Levi, which collided with Jupiter in the summer of 1994. The collision was caused by a near miss of Jupiter which the comet had experienced about two years earlier that had placed the comet in a radically different and doomed orbit. It is believed that periodic comets like Halley’s Comet once followed a much larger, more elliptical orbit. Chance encounters with Jupiter, and to a lesser extent the other planets, have changed its orbit to the present one. If this is true, Comet Halley may have been in its current orbit for as little as 3,000 years. In addition to a smaller orbit, an interaction of a comet has a nearly equal chance of resulting in its complete ejection from the Solar System, and a small probability of its complete destruction via an impact, such as Comet Shoemaker-Levi endured. It appears that all short period comets experience chaotic orbits, that is, they have orbits that are extremely unstable and undergo relatively rapid and large changes. It is obvious that periodic comets must be replenished, or else they would be exhausted in thousands of years. Each year a number of new comets are discovered (recently this has been about two dozen per year). Most of these comets are relatively faint, but occasionally a brighter one is found. Two recent bright comets were Hyakutake in 1996 and Hale-Bopp in 1997. These two comets were the brightest ones seen in 20 years, with Hale-Bopp considered to be a ‘great comet’. Like all orbiting bodies, comets have elliptical orbits. Recall that an ellipse is a conical section possessing two foci and having the property that the sum of the distances from the two foci to any point on the ellipse is constant. The longest diameter of an ellipse is called the major axis, while the smallest diameter is called the minor axis. The size of an ellipse is defined by the length of the major axis. Ellipses vary in shape from the circle to very flattened ellipses, where the minor axis is much smaller than the major axis. The measurement of the flattening of an ellipse is called the eccentricity, and is defined as the ratio of the distance between the foci to the major axis. A circle has an eccentricity of zero, but the eccentricity of an ellipse may have any value of up to, but less than, one. The conical sections that have eccentricities of one and greater than one are the parabola and the hyperbola, respectively. Objects may follow parabolic or hyperbolic orbits, but since these two figures are not closed, any objects having such orbits will pass the Sun once and never return, and hence would not be permanent members of the Solar System. Planetary orbits tend to be nearly circular, while comet orbits tend to be very elliptical. Newly discovered comets are frequently observed to have eccentricities of one, which on its face would suggest that they are mere visitors to the Solar System. However, eccentricities can be measured only to about four significant figures, so that it is quite likely that the eccentricities are actually slightly less than one, and the differences from one are masked by the observational errors. This means that all comets are members of the Solar System, but the very largest, most elongated orbits are observationally indistinguishable from parabolas. The comets following these orbits would have periods of many thousands, if not millions, of years. The orbits of more than 600 comets have been computed, and several important clues about the nature and origin of comets can be gleaned from them. First, no comet has been observed to have a hyperbolic orbit approaching the Sun, though some have been observed leaving the Sun in such an orbit. This strongly suggests that all comets are permanent members of the Solar System. If comets had an interstellar origin, we would expect that many would be approaching with hyperbolic orbits. The ones that leave with hyperbolic orbits do so after having an interaction with one or more of the planets, and this represents one of the cometary loss mechanisms. A second clue is that there is a general division between comets: short-period, with periods less than 200 years, and long-period, with periods longer than 200 years. There are about 100 short-period comets, and more than 500 known long-period comets. This division is not an arbitrary one in time, for the typical orbits of the two groups are quite different. Most short period comets orbit in the prograde direction, that is, the same direction that all the planets revolve around the Sun. About half the long-period comets orbit prograde, while about half have retrograde orbits. Most short-period comets also have low inclinations, which means that the planes of their orbits are tilted very little with respect to the orbits of the planets. Long-period comets may have almost any inclination. One notable exception is Halley’s Comet; while it has a period of less than 200 years, its orbit is highly inclined and is retrograde. This could suggest that Comet Halley was originally a long-period comet that recently experienced a strong perturbation which converted its orbit into one having a much shorter period. It must be emphasised that while the orbits of the two groups of comets are quite different, the physical properties of the two groups, such as composition, are identical. This suggests that all comets have a common source. p is the period in years. A 50,000 AU semi-major axis results in a period of 1.12 x 107 years. If a comet has followed this orbit for 4.6 Ga, it would have experienced more than 400 trips around the Sun. After that many perihelion passages it is doubtful that there would be any volatile material left in the nucleus. Note that 50,000 AU figure was a very liberal upper limit, and so most comets would have orbited far more times. A more realistic estimate of the upper limit at 25,000 AU for a semi-major axis for a stable orbit yields a period of 3.95 x 106 years, with a result of almost 1,200 returns in 4.6 Ga. While most creationists’ writings have focussed on evaporation of volatile materials from the nuclei as the loss mechanism for comets, at least two other loss mechanisms are known. One of these is the ejection from the Solar System by close planetary interactions, and the other is collisions with planets. While direct collisions are considered to be relatively rare fates for comets, some recent studies have suggested that ejection may play a more important role than disintegration. It appears that if comets are primordial there should not be any left. So what source of comets do evolutionists propose? Several sources have been suggested over the years, and have largely fallen into disfavour. For instance, nearly two centuries ago, Laplace suggested that comets might be interstellar, with comets occasionally passing near the inner Solar System so that they become visible and some would be captured. One would expect that at least a few comets would be observed approaching perihelion on hyperbolic paths. As mentioned previously, this is not the case, which is the main reason this model was largely abandoned. Apparently this difficulty can be explained, at least to the satisfaction of its few adherents today (see, for example, Witkowski6). Another suggested source of comets is by volcanic ejection from planets and their satellites (Vsekhsvyatskij7). An obvious problem with this idea is that comets appear to share a common composition, a property that is not true of the alleged parent bodies. Another problem is the difficulty of ejected objects to assume the orbits observed. Today van Flandern8 is the champion of the hypothesis that comets originated from the disruption of a planet between the orbits of Mars and Jupiter. This hypothesis has its own problems and has not been accepted by many people. The vast majority of astronomers today believe the hypothesis of Oort, who suggested a vast reservoir of comet nuclei at a great distance from the Sun to be the source of new comets (Figure 2). This proposal was not exactly a shot in the dark as many seem to believe. Instead, it was based upon careful study of the semi-major axes of the orbits of long period comets known at that time. A histogram of 1/a0 shows a cluster near 1/a0 = zero. Oort reasoned that this clumping at great distance represented the original distribution of comets, while the smaller numbers at closer distances represented the result of gravitational perturbations. Some could criticise Oort’s histogram on the basis that a plot of 1/ao amounts to a logarithmic plot of distance, and hence would include an ever increasing volume of space as 1/a0 approaches zero. But this is irrelevant, because what is being plotted is the frequency of total energy. Since the only conservative force involved is gravity, and gravity goes as the negative of the inverse of the distance, this is the proper plot. On the other hand, one could criticise this approach by pointing out that the lower energy orbits are far more likely to suffer loss through the mechanisms previously discussed. There are two reasons for this. First, the comets following the smaller orbits would visit the inner Solar System more often, leading to more frequent volatile material loss near perihelion. Second, the increased number of trips through the region where the planets are found, and at lower speeds than the longer period comets, would lead to more frequent perturbations caused by the major planets, leading to an increased chance of ejection. Thus it would seem that the lower energy comets should be selected for loss over the higher energy ones. If this is correct, then one would expect that any distribution in energies would eventually result in the observed histogram. With the assumption of evolution, the Solar System is believed to have formed from the collapse of a large cloud of gas about 4.6 Ga ago. Most of the material is supposed to have fallen to the centre to form the Sun, while the remainder flattened to a disk, from which the planets eventually formed. The first step in forming the planets was the material coalescing into small chunks called planetesimals. These gradually accreted until a few were large enough to stay together by gravitation and to begin attracting other planetesimals by gravity. The larger of these eventually became the planets, with leftover material becoming the satellites and asteroids. The regions nearer the protosun would have been warmer, and hence the lighter elements would have been evaporated and removed from the inner Solar System, while the outer regions, being cooler, would have retained volatile material. This is supposed to explain why the inner planets have a rocky composition (lacking lighter elements) and the outer planets have a lighter element composition. This also demands that the comets originated far from the Sun, because they are made mainly of lighter elements. The gravitational perturbations of the planets would supposedly have removed most of the leftover planetesimals in the region of the Solar System occupied by the planets. The primary mechanisms for removal would have been ejection and collision. Indeed, the many craters observed on the surfaces of most of the smaller bodies of the Solar System are believed to be the results of these collisions. The asteroid belt is largely populated by small bodies (planetesimals) that are located in stable orbits controlled by the planet Jupiter. Jupiter has such a strong influence because it has more mass than all the other planets combined. At the distance of the asteroid belt from the Sun, the temperature would have been sufficient to remove much of the lighter elements. Indeed, any left-over planetesimals that orbit closer to the Sun than the asteroid belt tend to have rocky composition, while it is expected that more distant ones would tend to have lighter element composition. Good summaries of the modern view of the Oort cloud are given by Everhart9 and Weismann,10 and are briefly described here. The aphelia of the cometary nuclei in the Oort cloud would extend no more than 50,000 AU (one-fifth the distance to the nearest stars), or else the nuclei would likely be lost to the Sun. The perihelia would come no closer than 30 AU from the Sun. This would place the perihelia beyond the orbit of Neptune, and hence out of the planetary region and immune to large perturbations. Nuclei in such orbits should experience little dissipation, and so the cometary system should exist over several Ga. While Oort originally envisioned stellar perturbations to be the major factor in changing the nuclei’s orbits, it is now realised that interstellar gas clouds11 and galactic tides12 are major contributors as well. In fact, it now appears that the classic Oort cloud beyond 20,000 AU is not stable over 4.6 Ga. That is, the perturbing forces should have dissipated that cloud by now. Therefore it is now hypothesised that there is an inner and outer Oort cloud. While the outer, classic, Oort cloud is depleted, it is replenished by gradual elevation of inner cloud objects into the outer cloud. The total energy of an orbiting body is the sum of kinetic and gravitational potential energies. All bound orbits have negative total energy, but a typical orbit described above would have total energy very close to zero. According to Everhart, a stellar perturbation near aphelion usually results in an energy loss. Since the aphelion distance is unaffected and potential energy depends upon distance, the potential energy remains constant. Thus the decrease in total energy is manifested as a decrease in kinetic energy, causing the aphelion speed to decrease. This decrease in speed results in a smaller perihelion distance, which can bring a comet nucleus into the planetary region. If the perihelion distance is greater than 5 AU, there is little solar dissipation. Such objects are rarely discovered, because they fail to produce noticeable comas. While solar dissipation for such objects is negligible, for perihelion distances between 5 and 30 AU planetary perturbations are quite significant. About half the perturbations will result in a gain in energy, causing these comets to be removed from the Solar System. The other half will lose energy. The energy loss occurs near perihelion, and can be approximated by a single loss each orbit. The perturbations do not appreciably change the instantaneous distance from the Sun, so the gravitational potential energy is unchanged. Therefore any loss in energy again must be from kinetic energy. Since the perihelion distance remains constant, a decrease in total energy lowers the aphelion distance, and hence the orbital period as well. Comets that take this route enter a regime of unstable orbits, with many perturbations. Comet Hale-Bopp would be classed in this type, for it recently entered the planetary region in its recent pass with a period of about 4,200 years, but it left with a period of about 2,600 years. Further interactions in these unstable orbits involve many possibilities, including a return to the Oort cloud. A little known detail is that the Oort comet cloud was devised to explain the long period comets, though many have assumed that it explained the short period comets as well. Oort himself apparently believed that the short period comets were best explained by the disruption of a planet that once orbited between Mars and Jupiter, an old idea that has been largely discarded, but still has its supporters (for instance, van Flandern). The problem is the significant differences in orbits between the two types of comets. Many have assumed that gravitational perturbations can transform long period comets into short period ones, but recent calculations have revealed that this is unlikely.13 Tremaine et al.14 showed that perturbations on a collection of nuclei with a random distribution of inclinations would preserve the inclinations, that is, the random distribution in inclination would remain random. In fact, prograde, low inclination orbits are more susceptible to perturbations, because these orbits allow for greater time of interaction between the comets and planets. Since short period comets have low inclination, prograde orbits, there must be a source for short period comets other than the Oort cloud. Beyond the orbit of Neptune, the perturbations of Jupiter would have had little effect during the formation of the planets, while the planetesimals near the orbits of Jupiter and Saturn would have been ejected. This realisation is what caused Kuiper15 to suggest in 1951 that the solar system does not end abruptly beyond Neptune and Pluto. Since no planets are found beyond these orbits, any material there must be in the form of planetesimals. Some have renamed these distant planetesimals ‘cometesimals’, because they would be the comet nuclei.16 For many tens of AU beyond the planets, any planetesimals would have reasonably stable prograde orbits with low inclinations, with compositions similar to the major planets. Gradual accumulation of small perturbations on these bodies would cause either increases in aphelia or an infall into the inner Solar System. The latter result would produce objects with the properties of the short period comets. Because of its flattened distribution this reservoir has been called the Kuiper belt (see Figure 2 again). For years the Kuiper belt was mostly overlooked in deference to the Oort cloud. It was believed that the Oort cloud could account for both long and short period comets, and so the Kuiper belt was viewed as unnecessary except possibly as the inner portion of the Oort cloud. However, computer simulations done during the 1980s revealed that the Oort cloud could not produce enough short period comets with the required low orbital inclinations. The problem is that the process of converting long period comets into short period comets is not efficient enough to deliver any significant number of comets before their disintegration or expulsion from the Solar System. In the past 15 years the Kuiper belt has been resurrected as the source of short period comets, though this escaped the notice of most creationists. The resurgence of the Kuiper belt spurred a concentrated search for objects orbiting in the belt. The recent announcement of the alleged discovery of the Kuiper belt17 has sparked much interest, though some are rightly concerned if the observations are real.18 Any comet nuclei in the belt would be very faint, but perhaps the brightest ones could be photographed with the CCD (Charge Coupled Device) camera of the HST (Hubble Space Telescope). Because any nuclei would be very faint, very long exposures were required. The exposure times were long enough so that the orbital motions of any photographed nuclei would trail their images. This trailing smears the images, making them appear even fainter. The same problem has long been encountered in searching for minor planets (or asteroids) using ground-based telescopes. The solution is to calculate the orbital motion for an object in the location in which you are searching and to move the telescope at the same rate to compensate. Any orbiting target objects appear as points, while stars are trailed. In the case of the HST observations, 34 CCD images were made of a small part of the sky. The region photographed was selected for two properties: lying along the ecliptic to avoid most other Solar System objects, and for containing very few stars or galaxies to ease analysis. Each image was about ten minutes long with a total exposure of about five hours over a 30 hour time period. The 34 exposures made with the HST revealed more than 50 faint point-like objects at the limit of the detectability of the system, and these objects were deemed to be Kuiper belt candidates. A major problem is that the imaging system is subject to random signals, called noise, that mimic these faint points, so from a single image one cannot have any confidence that any particular point of light is real. To sample the noise level a number of exposures were made as the HST was moved in the opposite direction so that star images were smeared as before, but comet nuclei images would be smeared twice as much as the stars and thus would not be detectable. Any point sources now observed must be noise, and so their count was taken as the noise level. This number was a little more than half of the number of candidates, and it was concluded that the difference, about two dozen, was the number of nuclei discovered. As mentioned before, another study using ground-based instruments failed to confirm the findings of the HST observations, and so a team will attempt to repeat the observations soon.19 Another disturbing aspect of such statistically based arguments is that no one can clearly identify a single image as a comet nucleus. It would be almost as if an astronomer pointed out a half dozen star-like objects in the sky and announced that he is very confident, say 95 %, that at least one of them is a planet, but he cannot tell for certain which one is indeed a planet. Most would find such a prospect absurd, but this is increasingly the sort of thing encountered as high-powered statistical methods have been applied in astronomy. This is reminiscent of the 1992 announcement of the fluctuations allegedly discovered in the cosmic background radiation.20 The researchers in that study admitted that they could not point to any location on their map and say ‘this is one of the fluctuations’, but they were convinced that the fluctuations were real. Is this what science has become? One could respond that in the health sciences such statistics are used all the time. For instance, over the past 30 years statistical studies have established a clear link between cigarette smoking and certain lung diseases, such as cancer and emphysema. The tobacco industry has responded that in any individual case of lung disease it cannot be proven that smoking definitely caused the disease. This is true, because non-smokers occasionally develop these diseases as well, and so it is possible that the smoker may have developed the disease regardless of tobacco use. But such an analogy to the discovery of comet nuclei would be improperly applied. What is alleged here is detection, not correlation. The proper analogy, if it is to be made, would be to question the diagnosis of disease. That is, a physician would have to state that he cannot definitely identify a single case of lung disease, but that given a large enough sample he can state with some confidence that he is examining some number of diseased lungs. Of course this is not what is claimed, because x-rays, CAT scans, biopsies, and finally post-mortem examinations can identify diseases with virtual 100 per cent confidence in every case. Perhaps time will reveal if the alleged discovery of Kuiper belt comet nuclei is real, but the problem has been approached from a different direction. In 1977 a large minor planet (eventually named Chiron) was discovered orbiting between the orbits of Saturn and Uranus. Previously no minor planet beyond the orbit of Jupiter had been known, though such objects should have been anticipated since several thousand minor planets had been found in the inner Solar System. It was later determined that Chiron had similar colour and spectrum consistent with that of comets. In 1988 a faint coma was observed around Chiron, further suggesting that it might be a very large comet nucleus. Spurred by this information several astronomers began searching for other minor planets or comet nuclei at distances beyond Saturn. Since 1990 more than three dozen objects have been discovered, some beyond the orbit of Neptune, and more are being discovered (a good review of this is by Luu and Jewitt,21 two of the researchers involved). It must be stressed that these objects are very real, and orbits have been calculated for most of them. This is unlike the previous study of the alleged discovery of the Kuiper belt, where no objects were clearly identified and hence no orbits could be calculated. Since the HST study these real objects beyond the orbit of Neptune have been increasingly referred to as Kuiper belt objects. This not-so-subtle shift should not mask several potential problems. First, there is some question of the Kuiper belt extending all the way into the orbits of the outer planets. Are orbits here stable on the time-scale necessary, and can these objects produce the properties of short period comets? Second, it is assumed that the large objects discovered here indicate that there must be many other smaller objects as well. This assumption seems reasonable, as suggested from crater and asteroid belt statistics which reveal an exponential increase in number as size decreases. It must be remembered that this is an assumption, and as long as it is recognised as such, we see no reason to challenge it. A third problem is the sheer size of the objects involved — they are over ten times larger than the largest observed comet nuclei. This translates into over 1,000 times the volume and mass. It boggles the mind to contemplate the extreme brightness and size of the resulting comets from such huge nuclei. If such nuclei are common, why have none of these comets been seen with perihelia near the Sun? This line of reasoning has caused a re-evaluation of the status of Pluto. Heralded as the discovery of a ninth planet and the perturber of Neptune’ orbit in 1930, Pluto’ classification is now in doubt. Even in 1930, it appeared to be too small to account for the alleged perturbations. The discovery of its satellite Charon nearly 20 years ago and the season of mutual eclipses of the two bodies in the 1980s have led to very good measurements of the sizes and masses of Pluto and its moon. The resultant densities are consistent with an icy composition containing an admixture of rocky material, the same as cometary composition. There is an attempt to reclassify Pluto and its moon as very large asteroids, or, given their orbit and composition, members of the Kuiper belt. It is now clear that short period comets do not evolve from long period comets, and so the two groups of comets require different sources. In their original forms, the Kuiper belt was devised to explain the existence of short period comets, and the Oort cloud was to explain the origin of long period comets. While the orbits of these two groups of comets are quite different, there does not appear to be any difference in composition between the two groups. One could simply argue that all comets form far from the Sun so that the composition is similar, but there is some question of how cometesimals could form at great distances from the Sun, given the low density of material that would have been there. Recent dynamical studies suggest that all comets could have formed in the Kuiper belt, and that there has been a migration, or an evolution, between the Kuiper belt, where planetesimal density would have been great enough, and the Oort cloud. This evolution has been reviewed elsewhere,22,23 and will be summarised here. Earlier the alleged evolution of the Solar System was outlined. In the planetary region, planetesimals were able to coalesce into planets and satellites. Beyond the planetary region the planetesimals failed to coalesce, perhaps due to the lower density present there. Like all of the other planetesimals, the distribution had flattened toward the ecliptic into a toroidal shape. Being far from the Sun, these planetesimals retained their volatile composition. In short, these unamalgamated planetesimals have the composition of comet nuclei, while their orbits have a distribution similar to the Kuiper belt. Thus the Kuiper belt represents the primordial population of comets. Other stars are now known to possess disks of material at similar distances or greater distances (examples are Vega and β Pictoris). Gradual planetary perturbations could transform Kuiper belt objects two ways. One would be decreases in energy which would lower the perihelia into the planetary region where planetary perturbations would be accelerated. These comets would generally have prograde orbits, aphelia in the Kuiper belt, and hence periods of less than 200 years. In other words, these would be the short period comets, as originally suggested by the Kuiper belt. The second possibility is increases in energy, which would maintain perihelia in the Kuiper belt region, but would produce aphelia at tens of thousands of AUs from the Sun. The resulting orbits would have very large eccentricities. Nuclei in these orbits would spend much of the time near aphelion. This would greatly increase the effect of stellar perturbations and galactic tides on the orbits. These perturbations would tend to be more random and so would randomise the comet orbits. This would lead to higher inclinations, with many orbits assuming retrograde direction. This distribution matches the alleged properties of the Oort cloud. Thus in this model many Kuiper belt objects are evolved into the Oort cloud, from which further perturbations would produce long period comets. Of course if this model is correct, then at long last an explanation of why comets still exist in an old Solar System will have been found. But one must remember that we have heard this sort of explanation before. For instance, just two decades ago it was generally believed that the Oort cloud could explain all comets, but later studies revealed that it could not produce short period comets in sufficient numbers. The evolution of Kuiper objects into the Oort cloud is a recent result, and must be examined further to see if it works. Since the early creationist writings on comets and what they indicate about the age of the Solar System, much work has been done from an evolutionary stand-point. Many creationists have either ignored or remained ignorant of these developments. These developments include the Kuiper belt, the simulated evolution of comet orbits, and the alleged discovery of the Kuiper belt. This paper has reviewed many of the new developments and now offers some conclusions and suggestions. First, with the discovery of additional loss mechanisms, it is even more obvious today that comets could not have been in their current orbits since the beginning of the Solar System, if the age of the Solar System is on the order of Ga. The need to explain the existence of comets in an old age framework has spawned much theoretical research into the dynamics of cometary orbits. While the basic concept of the Oort cloud has been retained, the idea has been refined and expanded. This raises a very important question as to the scientific status of the Oort cloud. Can something that cannot be observed, even indirectly as in the case of subatomic phenomenon, be classed as scientific? While the Oort cloud is often referred to as a theory, given the usual definition of a theory and the impossibility of observation, can the Oort cloud be termed a theory? Indeed, given that it is doubtful that this idea can ever be tested, one has to question whether the Oort cloud is even an hypothesis. Third, while the Oort cloud may not be observable, it appears that the Kuiper belt may be. Though the initial announcement of the discovery of typical, small belt objects by the HST was undermined by the failure to repeat the result, the systematic search for large inner belt objects just beyond the Jovian planets has apparently succeeded. These objects are the only serious threat to the use of the existence of comets as an argument for a young Solar System. Their orbits and inferred compositions are consistent with their identification as comet nuclei, however their large sizes presents a problem for this view. 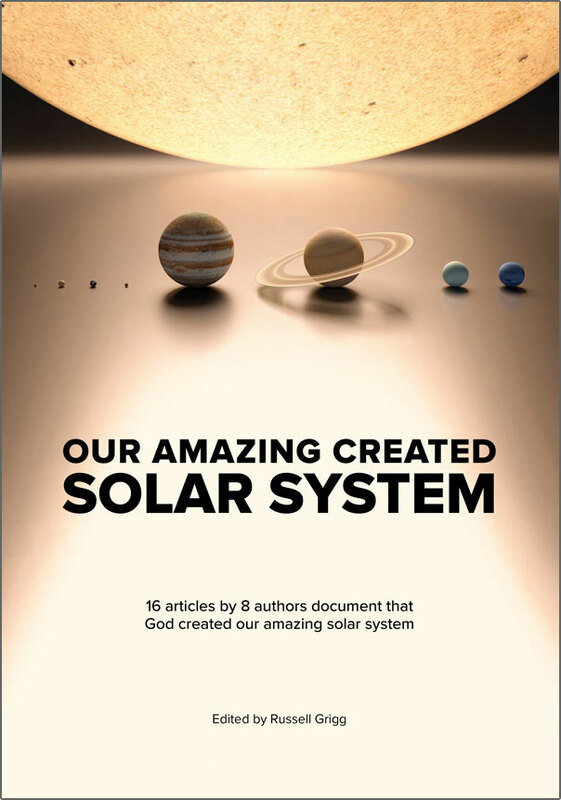 It is regrettable that creationists have remained uninformed about these developments, and it is hoped that this review has helped to remedy the situation and will encourage others to continue to stay abreast of this subject. Fourth, while if the existence of the Kuiper belt is confirmed it would provide a mechanism for short period comets, the untestable Oort cloud would still be necessary for long period comets. The theoretical calculations of the hypothesised evolution of Kuiper belt nuclei into Oort cloud objects mentioned in the previous section is somewhat speculative. Creationists should continue to monitor these studies, examining them for the soundness of their assumptions and techniques. If the Kuiper belt exists, and if these simulations are properly performed, then the Oort cloud becomes more plausible. Of course, conducting our own simulations and calculations would be the one sure way to test the correctness of these models. Very few creationist writings on comets have been quantitative, and few have produced original research, relying instead upon the (often old) quotes of non-creationist astronomers. One exception is the paper on the lifetimes of short period comets by Stillman.25 This is a good example of the kind of work that creationists should be doing in the field. Evolutionary astronomers have spent much time developing scenarios to explain the existence of comets in a 4.6 Ga Solar System. Despite this effort and apparent progress, there are still many questions and problems. At this time it is still quite doubtful that either the Kuiper belt or Oort cloud exist, as they must in an old Solar System. It is concluded that comets still offer a good argument for the recent creation of the Solar System. Creationists are strongly advised to continue to monitor developments on the origin of comets. Comets—portents of doom or indicators of youth? Slusher, H.S., 1980. Age of the Cosmos, Institute for Creation Research, San Diego, California, pp.43–54. Return to text. Oort, J.H., 1950. The structure of the cometary cloud surrounding the solar system and a hypothesis concerning its origin. Bulletin of Astronomy of the Netherlands, 11:91–110. Return to text. Alvarez, L.W., Alvarez, W., Asaro, F. and Michel, H., 1980. Extra-terrestrial cause for the Cretaceous-Tertiary extinction: experiment, results and theoretical interpretations. Science, 208:1095–1108. Return to text. Cochran, A.L., Levison, H.F., Stern, S.A. and Duncan, M.J., 1995. The discovery of Halley sized Kuiper belt objects using the Hubble Space Telescope. Astrophysical Journal, 455:342–346. Return to text. Whipple, F.L., 1984. Present status of the icy conglomerate model. 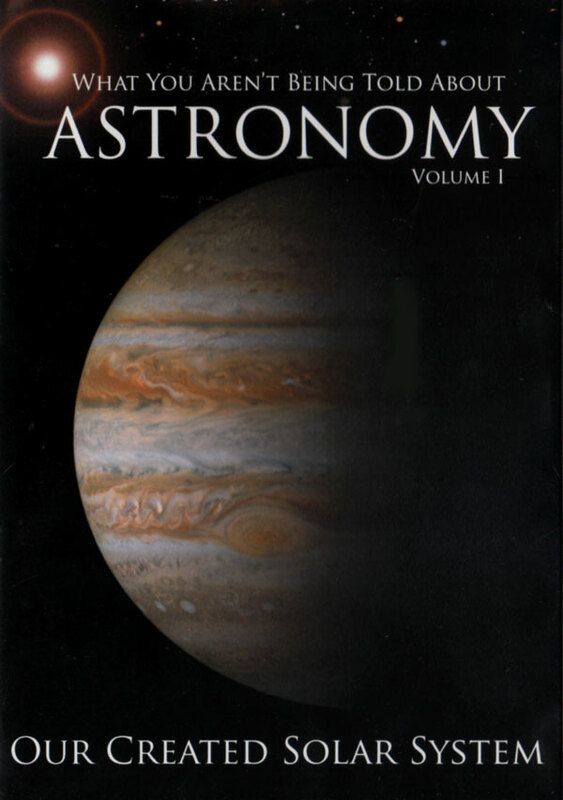 In: Ices in the Solar System, J. Klinger, D. Benest, A. Dollfus and R. Smoluchowski (eds. ), D. Reidel Publishing, Dordrecht, Holland, pp. 343–366. Return to text. Witkowski, J.M., 1972. On the problem of the origin of comets. In:The Motion, Evolution of Orbits, and Origin of Comets, G.A. Chebotarev, E.I. Kazimirchak-Polonskaya and B.G. Marsden (eds. ), D. Reidel Publishing, Dordrecht, Holland, pp.419–425. Return to text. Vsekhsvyatskij, S.K., 1972. The origin and evolution of the comets and other small bodies in the solar system. In: The Motion, Evolution of Orbits, and Origin of Comets, G.A. Chebotarev, E.I. Kazimirchak-Polonskaya and B.G. Marsden (Des), D. Reidel Publishing, Dordrecht, Holland, pp.413–418. Return to text. Van Flandern, T., 1993. 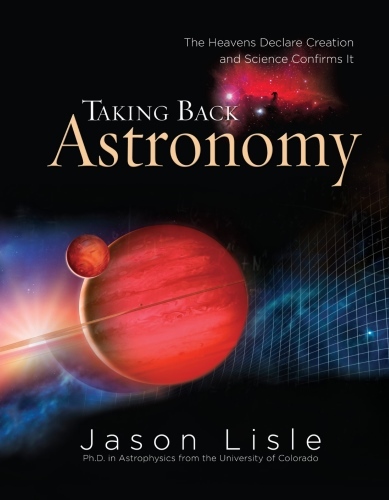 Dark Matter, Missing Planets and New Comets (Paradoxes Resolved and Origins Explained), North Atlantic Books, Berkeley, California, pp.179–192. Return to text. Everhart, E., 1982. Evolution of long- and short-period orbits. In: Comets, L.L. Wilkening (ed. ), University of Arizona, Tucson, Arizona, pp.659–664. Return to text. Weissman, P.R., 1990. The Oort cloud. Nature, 344:825–830. Return to text. Hut, P. and Tremaine, S., 1985. Have interstellar clouds disrupted the Oort comet cloud? Astronomical Journal, 90:1548–1557. Return to text. Matese, J.J., Whitman, P.G., Innanes, K.A. and Valtonen, M.J., 1995. Periodic modulation of the Oort cloud comet flux by the adiabatically changing galactic tide. Icarus, 116:255–268. Return to text. Everhart, Ref. 9. Return to text. Duncan, M., Quinn, T. and Tremaine, S., 1988. The origin of short-period comets. Astrophysical Journal (Letters), 328:L69–L73. Return to text. Kuiper, Ref.5. Return to text. Whipple, F.L., 1972. The origin of comets. In: The Motion, Evolution of Orbits, and Origin of Comets,G.A. Chebotarev, E.I. Kazimirchak-Polonskaya and B.G. Marsden (eds. ), D. Reidel Publishing, Dordrecht, Holland, pp.401–408. Return to text. Cochran et al., Ref.4. Return to text. Anonymous, 1996. Solar system masquerade. Science News, 150(11):175. Return to text. Flam, G., 1992. COBE finds bumps in the Big Bang. Science, 256:612. Return to text. Luu, J.X. and Jewitt, D.C., 1996. The Kuiper belt. Scientific American, 274(5):32–38. Return to text. Cowen, R., 1996. Planets martial the cometary parade. Science News, 150(4):60–61. Return to text. Yeoman, D.K., 1991. Comets: A Chronological History of Observation, Science, Myth, and Folklore, John Wiley and Sons, New York, pp. 342–344. Return to text. Sagan, C. and Druyan, A., 1985. Comets, Random House, New York, p 201. Return to text. Stillman, W.E., 1990. The lifetime and renewal of comets. In: roceedings of the Second International Conference on Creationism, R.E. Walsh and C.L. Brooks (eds. ), Creation Science Fellowship, Pittsburgh, Pennsylvania, Vol.2, pp.267–278. Return to text.